If you love the theatre, shopping and nightlife, then Soho is the place for you. Plus, there are tons of hotels in Soho for those who are visiting London and want things to be easy. 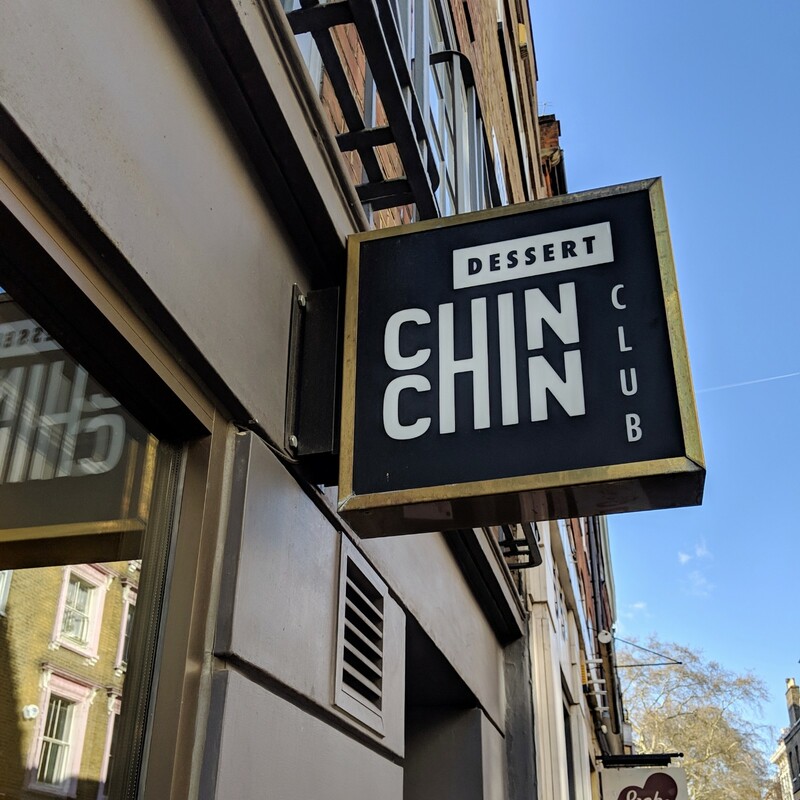 One thing about Soho that some people may not realise is that it has a great range of restaurants from traditional british dinners, Dim Sum to Vegan delights there is something for everyone! 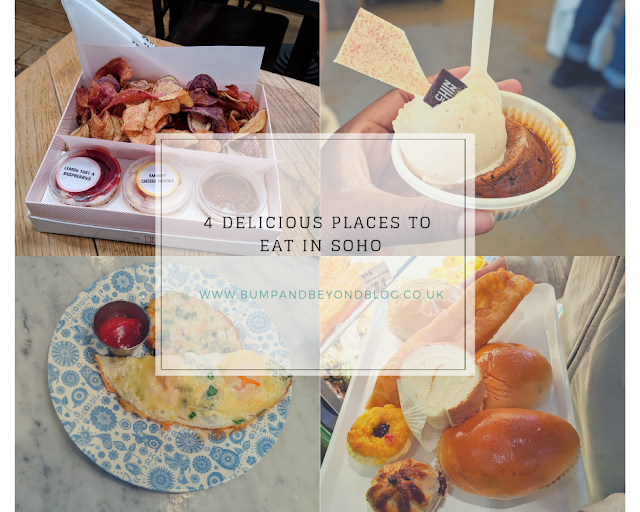 I thought I would share with you 4 delicious places you need to visit in Soho. 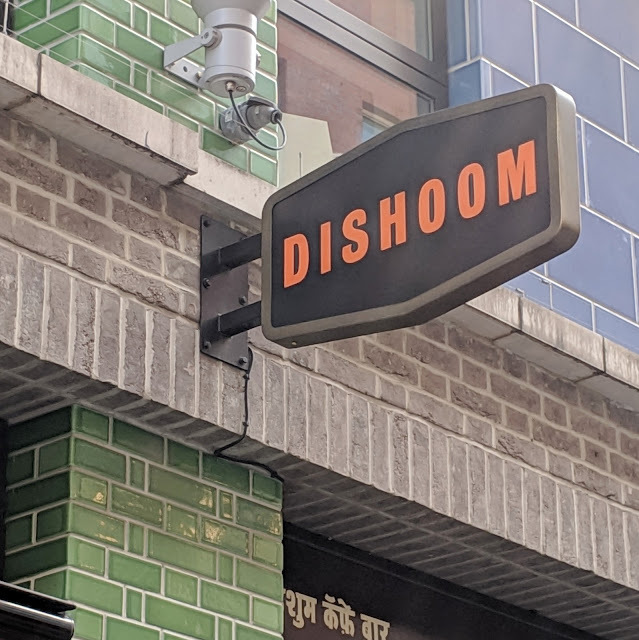 If you like interesting and flavoursome Indian street food, you will love Dishoom.They have multiple locations around london and the UK, including one off Carnaby street. They only take a limited number of reservations for 6 or more for dinner. I suggest you do what we did and head down for breakfast so you won’t have to wait in line, plus their breakfast menu is amazing and child friendly. 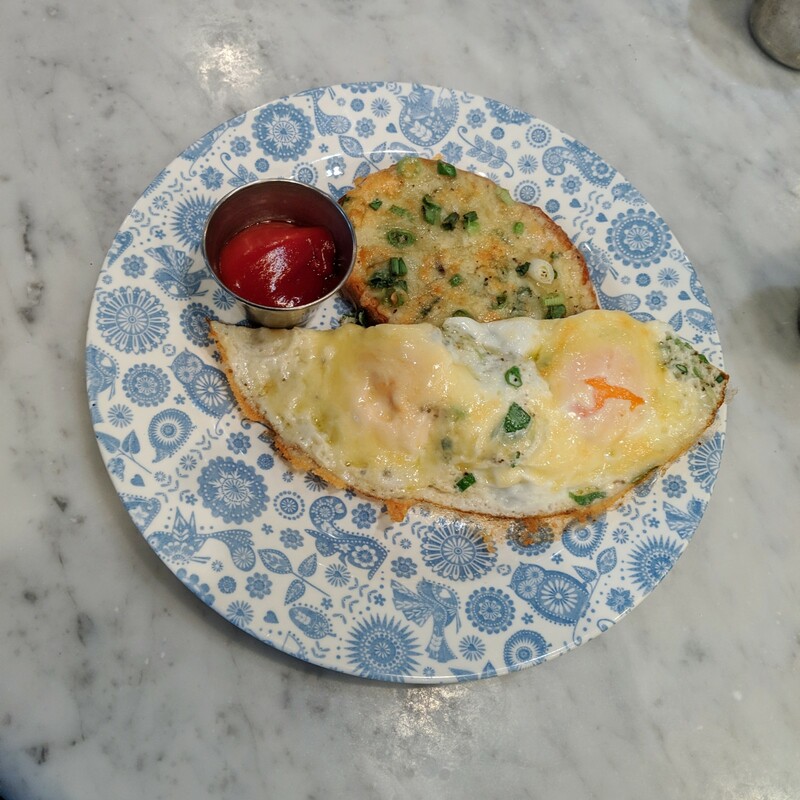 I opted for the Kejriwal, which is chilli cheese on toast and eggs,which was delicious with a bit of a kick. 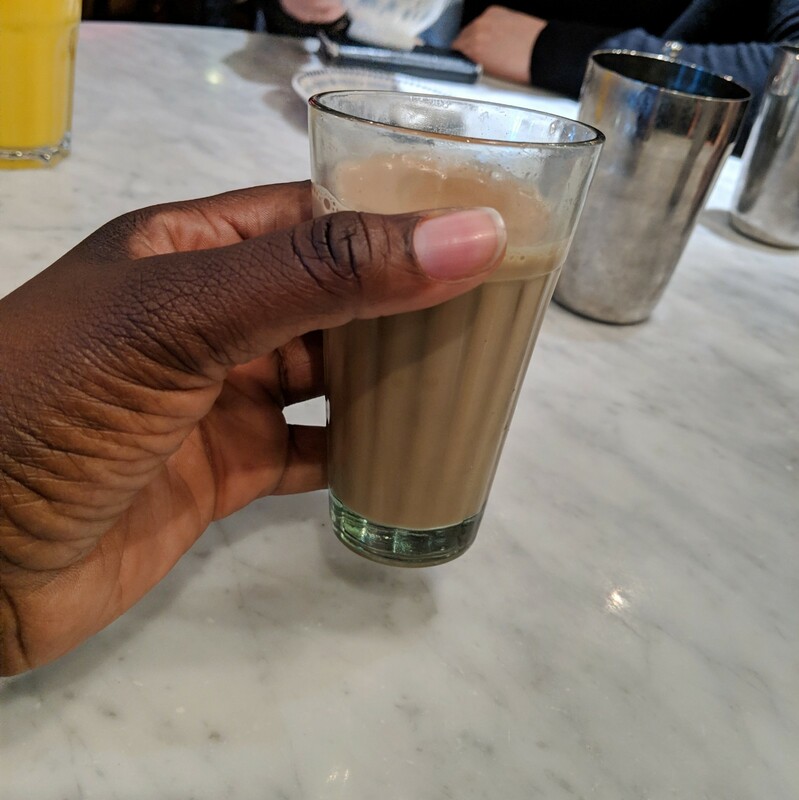 If you order a regular chai staff will come around and offer to refill it for you for free which is great. 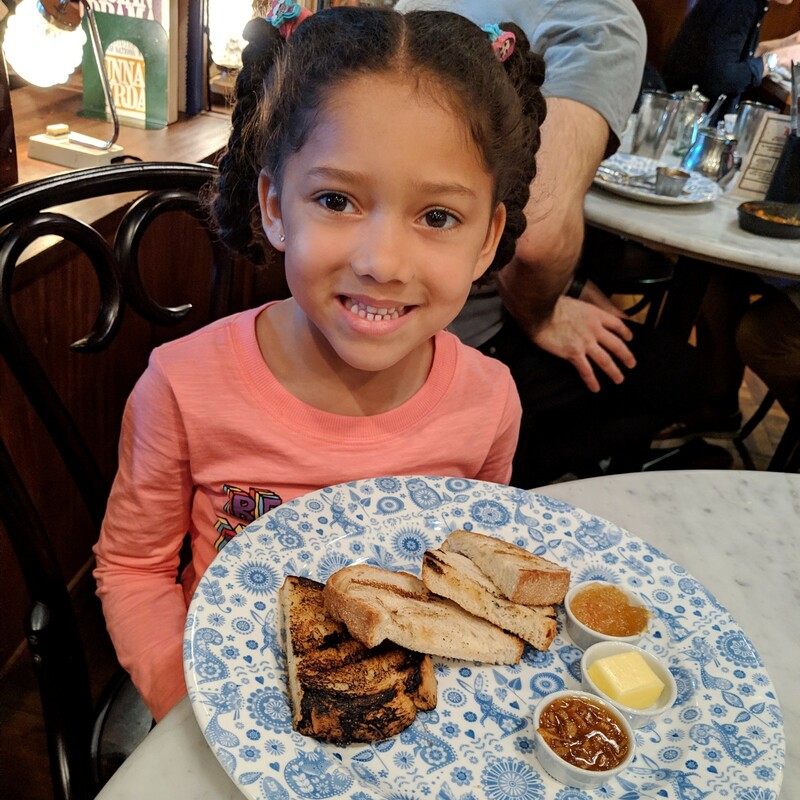 Darcy went for the fire toast, which is served with home-made preserves: pineapple-pink-peppercorn jam, and orange marmalade with star anis. Breakfast is served from 8am until 11:45 am weekdays and from 9am to 11.45am on weekends. 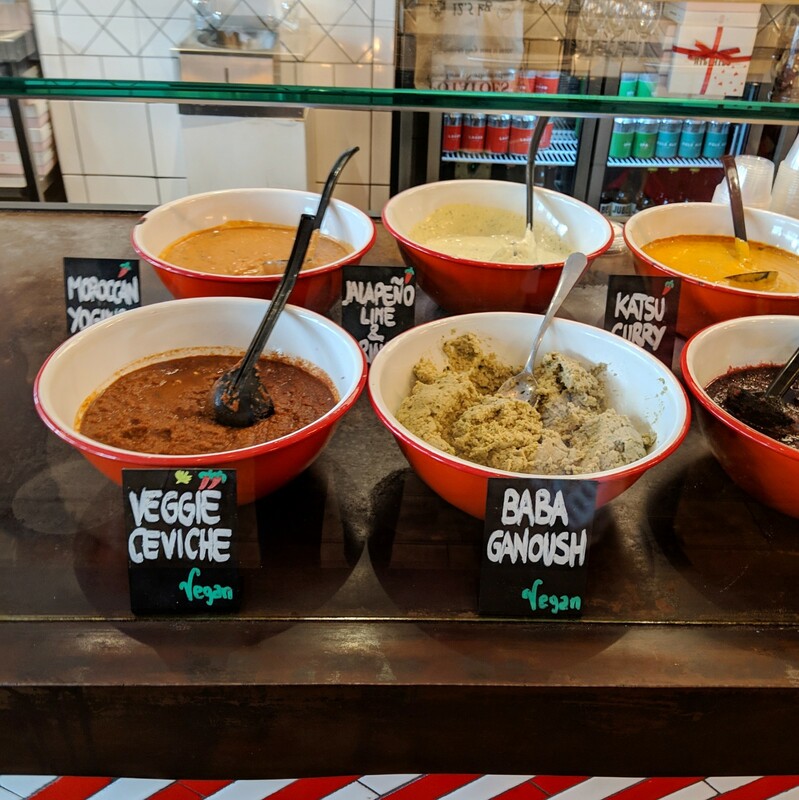 If you want to try something different, head on down to Old Compton Street. HipChips sell fresh crisp and dips, with the menu being limited it is easy to follow and chose what you want. There are 3 different sizes. small, medium and large. The small box has 2 dips, the medium box has 3 dips and the large box has 6 dips. There’s five different types of potatoes all mixed up. You then can decide if you want to have them salted or sweet. 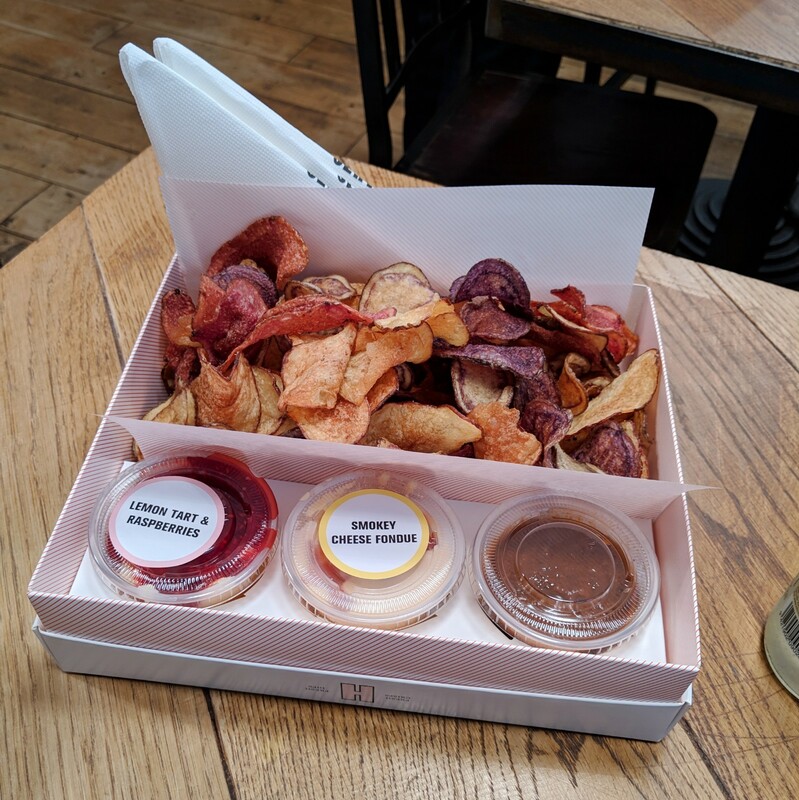 There is a range of sweet and savoury dips to pick from. We went for smokey cheese fondue, jerk sauce and the lemon tart with raspberries. Take a scroll down Greek Street and you will find Chin Chin Labs. 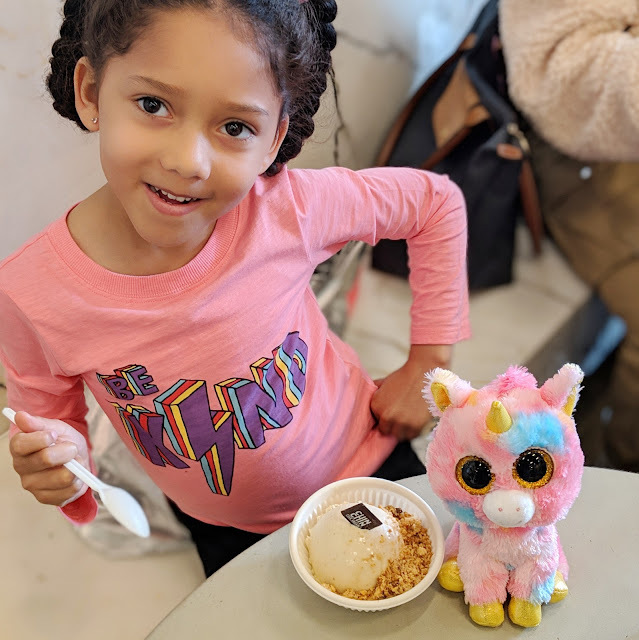 Famous for their Ice cream wizardry using liquid nitrogen, with classic and quirky flavours, and a range of enticing toppings. 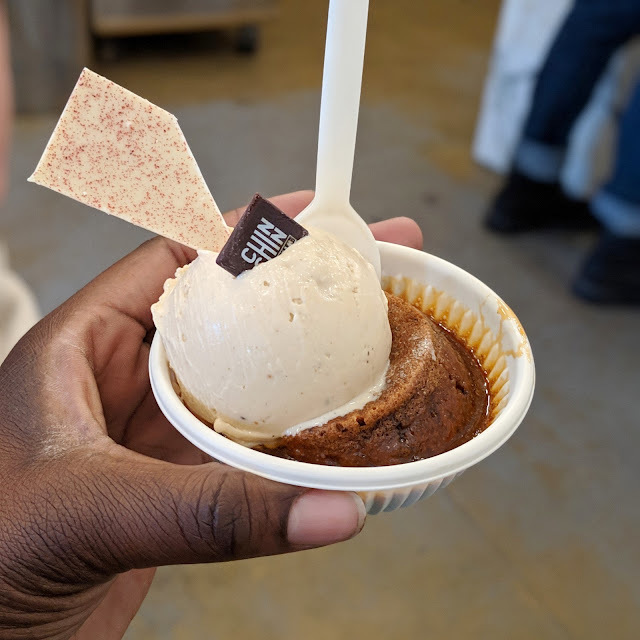 I went for the Sticky Toffee Warmie, with a scoop of Tonka Bean ice cream, whilst Darcy had Tonka Bean ice cream with Bee Pollen Honeycomb and Hazelnut Sand topping. 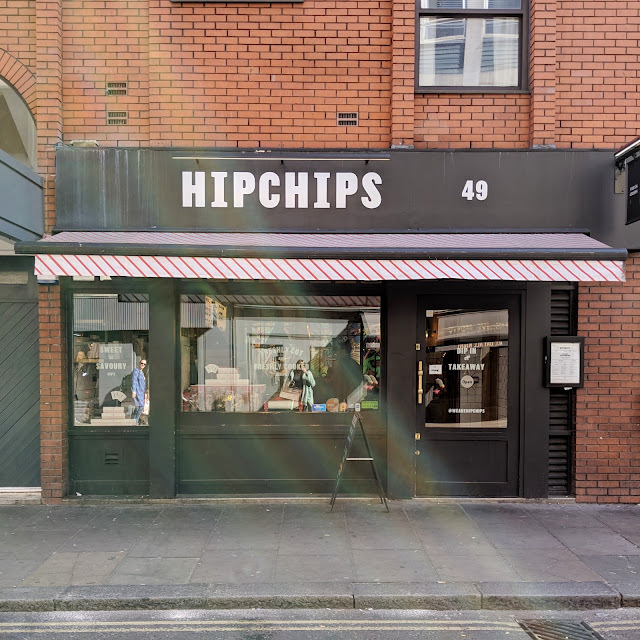 They also sell a range of teas and coffee and their instagram famous hot chocolate with handmade torched marshmallow. If you love desserts and ice-cream this place will be heaven for you. 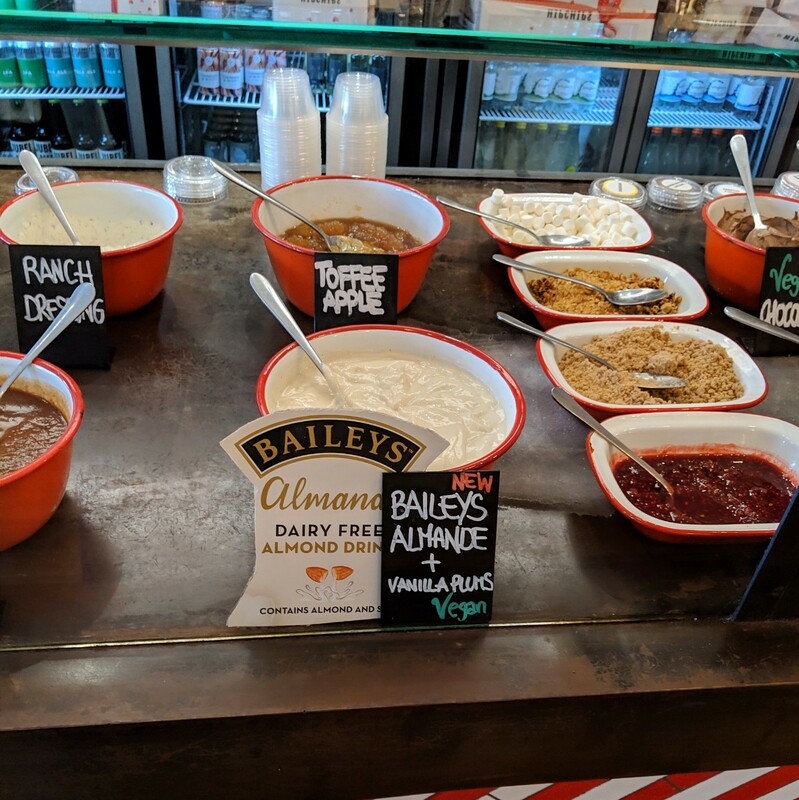 There are some vegan options to pick from also. You can find a large range of savoury and sweet buns and pastries. These include tuna, chicken and pork fillings in both flaky pastry and brioche-type buns. 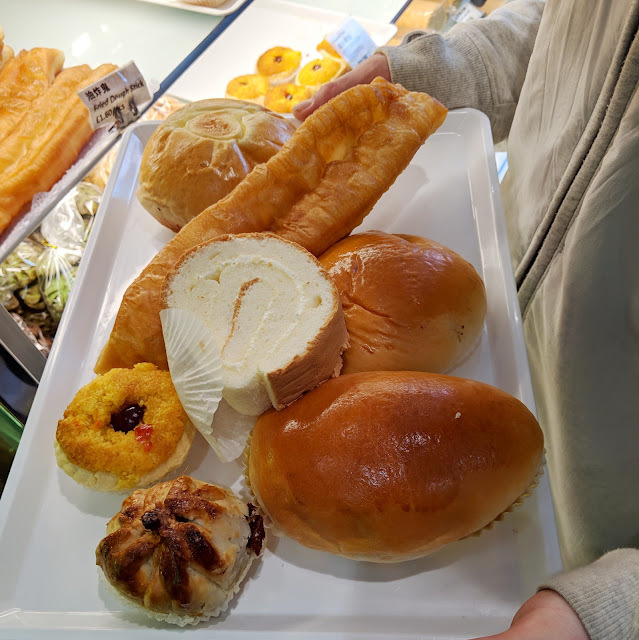 There are also teriyaki-style buns, and Chinese sweet treats like custard tarts, coconut bun, pandan and lotus cakes. You just grab a tray and tongs and pick your selection. As you can see it is very difficult to visit and leave with just one item. Our favourites Roast pork BBQ buns and the banana bread. 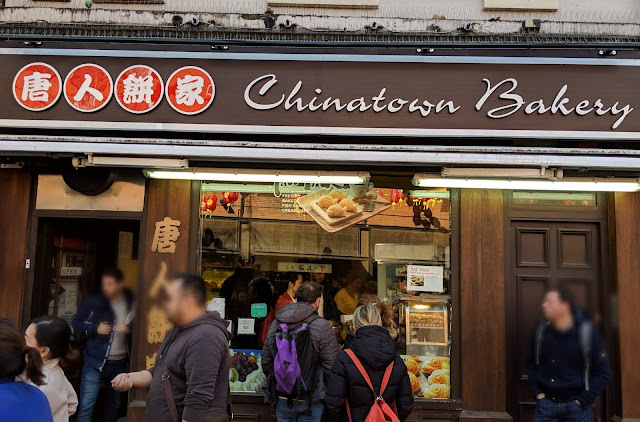 Chinatown bakery is on Newport Place, be warned though, it is cash only for any orders under £10 and they don't take American Express but will take other cards.